"The time to prepare for a hurricane is before the season begins." 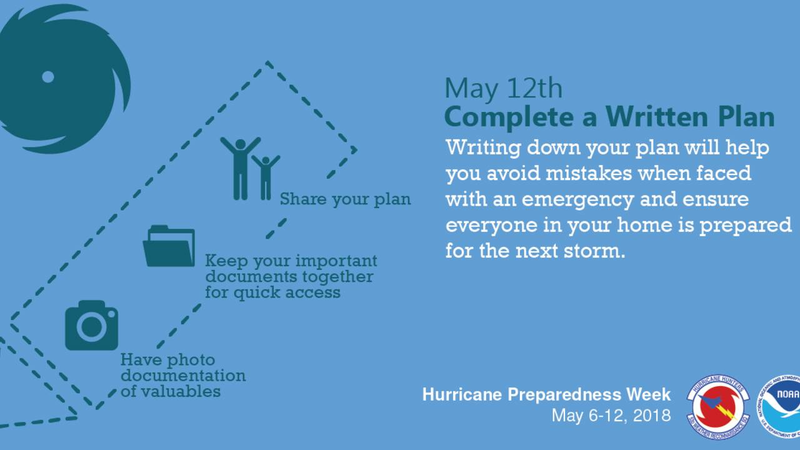 That's the advice from the National Weather Service and the National Oceanic and Atmospheric Administration during Hurricane Preparedness Week. When those preparations are in place, there is one more thing you should do: Write your plan down. When you are under stress, you may not remember all of the important details, but if you have your plan written down, you can follow it. Authorities recommend that you talk about your plan with your family and even role play.